Should You Buy The Progressive Corporation (PGR)? The latest 13F reporting period has come and gone, and Insider Monkey is again at the forefront when it comes to making use of this gold mine of data. We have processed the filings of the more than 700 world-class investment firms that we track and now have access to the collective wisdom contained in these filings, which are based on their September 30 holdings, data that is available nowhere else. Should you consider The Progressive Corporation (NYSE:PGR) for your portfolio? We’ll look to this invaluable collective wisdom for the answer. Is The Progressive Corporation (NYSE:PGR) undervalued? Investors who are in the know are getting more optimistic. The number of long hedge fund positions went up by 5 lately. Our calculations also showed that PGR isn’t among the 30 most popular stocks among hedge funds. PGR was in 45 hedge funds’ portfolios at the end of September. There were 40 hedge funds in our database with PGR positions at the end of the previous quarter. We’re going to analyze the recent hedge fund action surrounding The Progressive Corporation (NYSE:PGR). What does the smart money think about The Progressive Corporation (NYSE:PGR)? At Q3’s end, a total of 45 of the hedge funds tracked by Insider Monkey held long positions in this stock, a change of 13% from the second quarter of 2018. 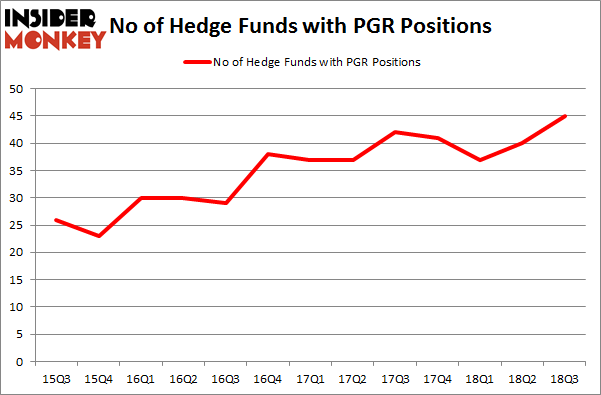 The graph below displays the number of hedge funds with bullish position in PGR over the last 13 quarters. With hedge funds’ sentiment swirling, there exists a select group of noteworthy hedge fund managers who were boosting their stakes considerably (or already accumulated large positions). Among these funds, Renaissance Technologies held the most valuable stake in The Progressive Corporation (NYSE:PGR), which was worth $604.7 million at the end of the third quarter. On the second spot was Citadel Investment Group which amassed $444.5 million worth of shares. Moreover, Arrowstreet Capital, Two Sigma Advisors, and AQR Capital Management were also bullish on The Progressive Corporation (NYSE:PGR), allocating a large percentage of their portfolios to this stock. With a general bullishness amongst the heavyweights, specific money managers have been driving this bullishness. Viking Global, managed by Andreas Halvorsen, assembled the biggest position in The Progressive Corporation (NYSE:PGR). Viking Global had $91.4 million invested in the company at the end of the quarter. Jeffrey Talpins’s Element Capital Management also initiated a $10.9 million position during the quarter. The other funds with brand new PGR positions are Anand Parekh’s Alyeska Investment Group, Sander Gerber’s Hudson Bay Capital Management, and Louis Navellier’s Navellier & Associates. Let’s go over hedge fund activity in other stocks – not necessarily in the same industry as The Progressive Corporation (NYSE:PGR) but similarly valued. These stocks are Constellation Brands, Inc. (NYSE:STZ), Altaba Inc. (NASDAQ:AABA), Baxter International Inc. (NYSE:BAX), and Telefonica S.A. (NYSE:TEF). This group of stocks’ market valuations resemble PGR’s market valuation. As you can see these stocks had an average of 49 hedge funds with bullish positions and the average amount invested in these stocks was $6.76 billion. That figure was $2.63 billion in PGR’s case. Altaba Inc. (NASDAQ:AABA) is the most popular stock in this table. On the other hand Telefonica S.A. (NYSE:TEF) is the least popular one with only 5 bullish hedge fund positions. The Progressive Corporation (NYSE:PGR) is not the least popular stock in this group but hedge fund interest is still below average. This is a slightly negative signal and we’d rather spend our time researching stocks that hedge funds are piling on. In this regard AABA might be a better candidate to consider a long position. 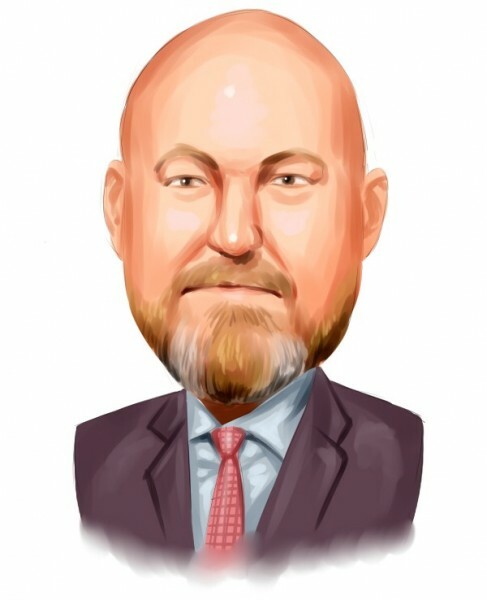 Simcoe Capital Management’s Returns, AUM and Holdings Billionaire Leon Cooperman’s New Stock Picks Here is What Hedge Funds Think About Movado Group, Inc (MOV) HMI Capital’s Returns, AUM and Holdings Is MGM Resorts International (MGM) A Good Stock To Buy? Is Mohawk Industries, Inc. (MHK) Going to Burn These Hedge Funds?